This is such a fun art project with little prep work or materials involved. 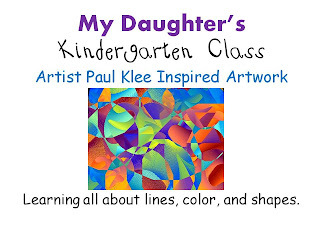 After talking about the artist Paul Klee, each student was given an 8x10 paper. 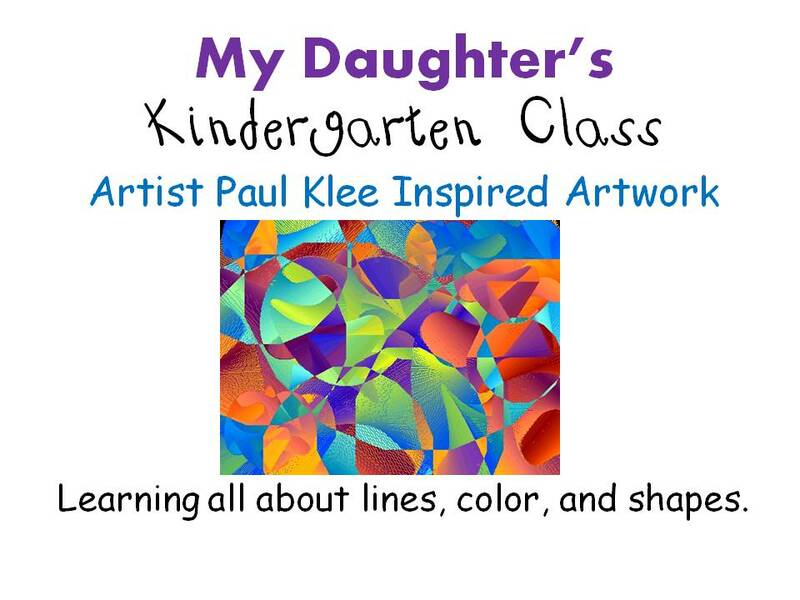 The awesome mother that I am an art docent with for my daughter's Kindergarten Class explained different types of lines and demonstrated them to the students. Each student practiced drawing the different types of lines one at a time together as a class. For instance, the mother helper said, "Draw a zig zag line going from one corner of your paper to another." The important thing is that the lines intersect and cross at different angles on the paper. The students then traced over their pencil lines with a permanent marker (I know kind of scary, but they did a great job keeping the ink on the paper). After they traced their line they colored each space (or shape) a different color. You will want to demonstrate this first. The students tried to make the spaces that touched each other be a different color. This part does take time. We had 45 min. for the lesson and most took the entire time (not counting the demonstration and mini lesson) to complete their art project. This is my daughter's finished project. The students were all SO excited with their artwork. The last thing I did was mount their art projects onto a piece of black construction paper before displaying them in the hallway. It's that time again. 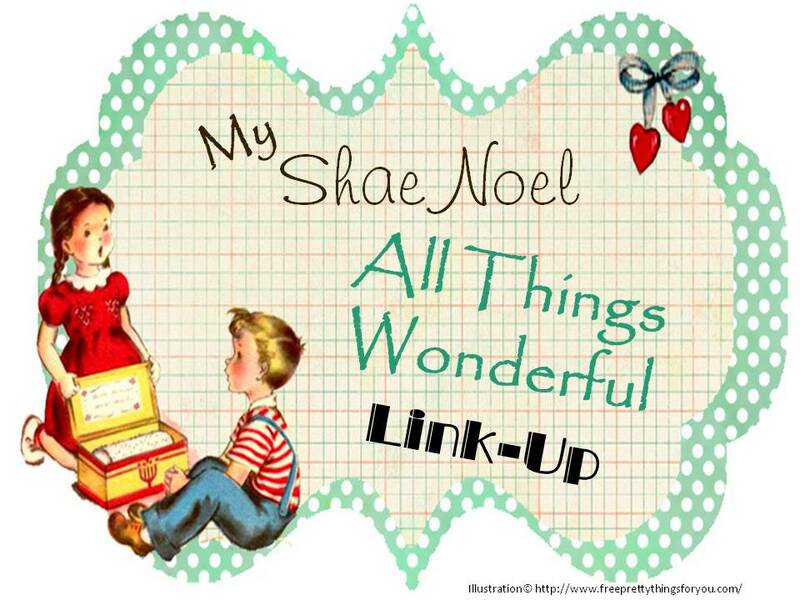 Time to link up a "wonderful" post from your blog or website. 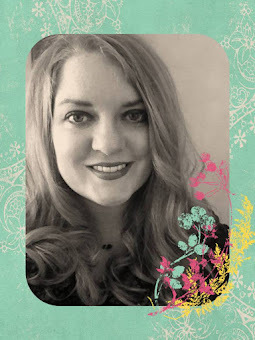 It could be a wonderful tutorial, something you have done with your children, a favorite recipe, DIY craft project , digital scrapbooking materials you have created, decorating ideas, giveaways you are hosting, wonderful things you have found in blog land, etc. Come join the fun, link up to this post, and let us know what is going on over at your blog. 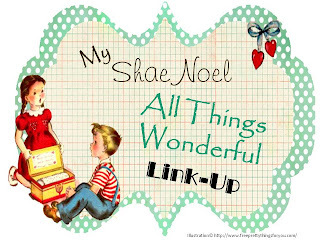 Thanks to those that participated in last weeks link up. I hope to do this every Monday. Join me by sharing a link to your wonderful post. 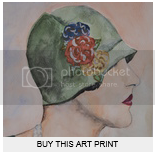 Please type in the direct link to the post you are sharing, not your blogs home page. All links shared must be family friendly, and not contain anything offensive or inappropriate as far as pictures, language, and content, etc. Not a follower of My Shae Noel? Become a follower so you don't miss any wonderful ideas shared. And, of course it would put a smile on my face! thanks so much for stopping by & letting me know about your site! You ahve wonderful ideas & resources here! Very pretty! This is a neat idea, thanks for sharing! That is so beautiful! What a great art project! Thanks for sharing this post at For the Kids Friday at Sun Scholars.